Are you searching for an experienced agent & team to represent you through the process of selling, buying, or investing in real estate? If so, look no further – The Barker Team at HER Realtors specializes in helping you achieve your real estate goals! We are experienced in homes for sale in Grove City, Ohio as well as nearby cities & surrounding counties. 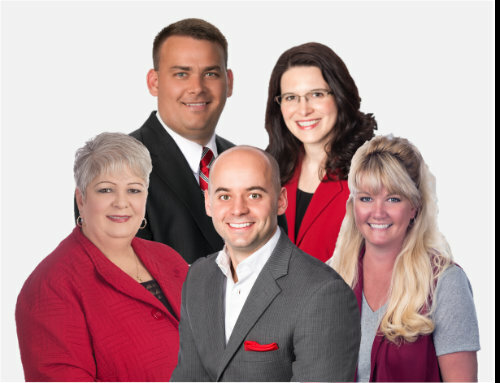 Our team of agents is fully committed to providing our clients with exceptional service, being knowledgeable on your local market, and offering high tech marketing & search strategies. We value each of our clients & recognize that a real estate transaction is one of the biggest investments many families make. Therefore, we are dedicated to providing you & your referrals with first class service every step of the way. We make your real estate goals our priority. Our entire team is very knowledgeable on the local market conditions in Central Ohio and have years of award winning experience backing the service we provide. We encourage you to let us put our knowledge & experience to work for you! The Barker Team’s high tech marketing plan for sellers and our innovative search strategy for buyers is customized for each client to ensure your real estate goals are accomplished in a very smooth, timely & professional manner! We strive to earn your business for years to come & want you to enjoy the process of buying & selling a home! We encourage you to check out our testimonials, blog and other helpful resources today. We proudly service all the areas below, as well as some not listed! Thank you for visiting our website. We look forward to hearing from you soon!